p>Participatory Diary is a digital logbook that exhibits the participatory communications and interactions of both humans and computers. 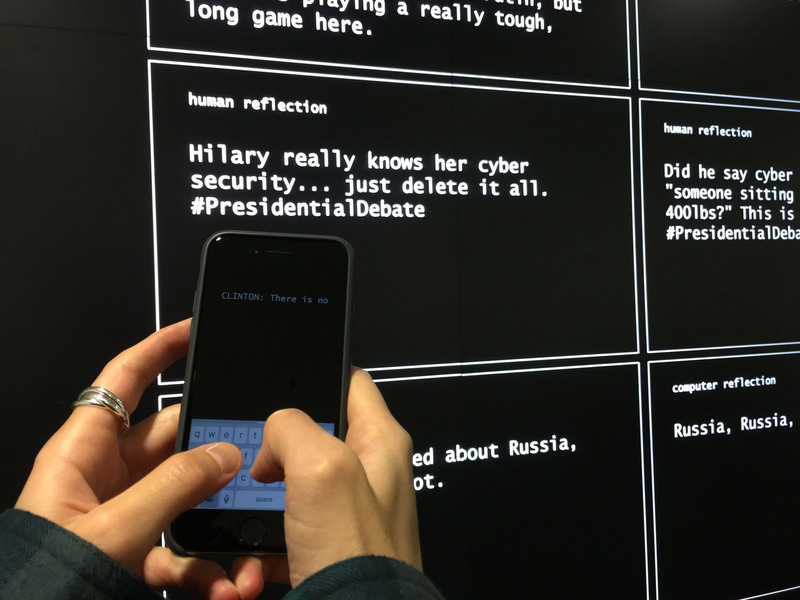 This installation contains a digital wall display that presents a human's thoughts and a computer's response to them on a given topic. The human's thoughts are input via their personal digital device; the computer's response is generated via machine learning. Exhibition participants can then compare the human and computer responses that are displayed in dialog boxes on the digital wall display. As multiple humans begin to participate in more complex communications and interactions with the computer using Participatory Diary, it will help us to further reflect on human-computer integration in our daily lives. A participant interacting with the installation.